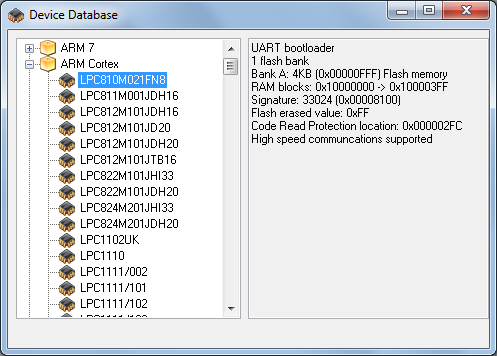 Once the new LPC8xx firmware has been build, it can be programmed into the LPC8xx. 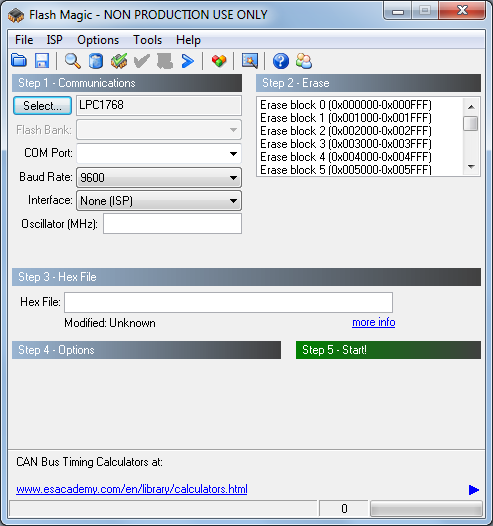 The LPC8xx needs to be connected to the computer through a USB-serial adapter. A commonly used adapter is the USB-BUB available at Modern Devices and The Jeelabs Shop. This adapter needs a minor modification with a soldering iron, as described on this Jeelabs blog. 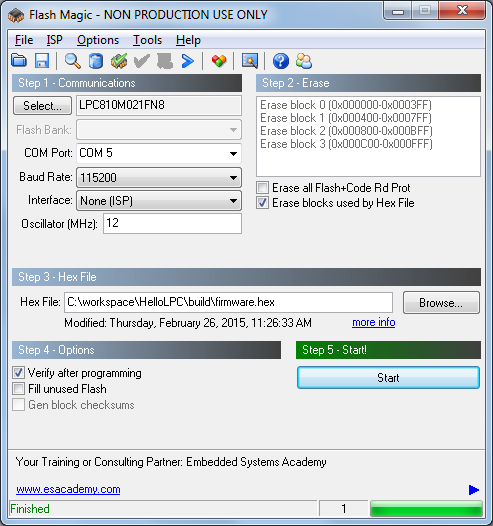 Installing a program to Flash the LPC8xx. 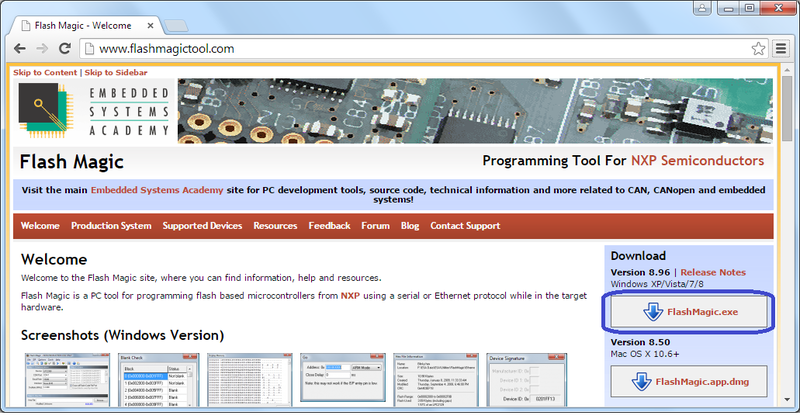 This article is following the article on installing the Eclipse IDE and assumes a firmware image has been build. Press Next and press Install. After the files are installed, press Finish. Close Notepad with the release notes once done. 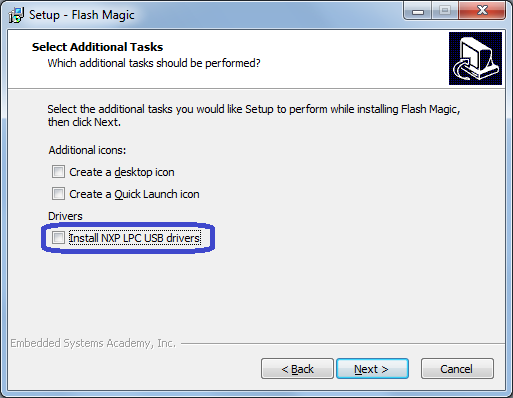 FlashMagic is now installed and can be found in the Start menu. 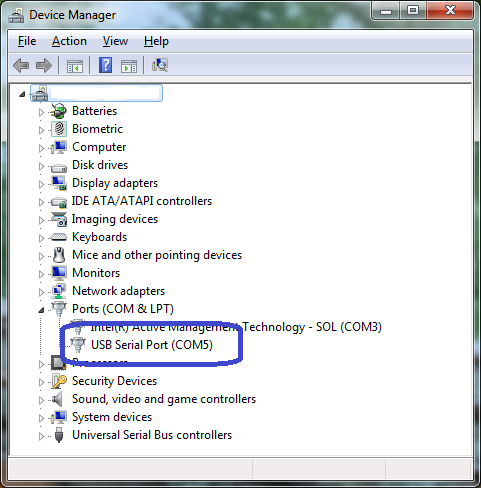 When using the usb-serial device on a Windows computer it is always a surprise which COM port it gets assigned. Luckily, nowadays it is always the same COM number for a specific device. Here you will find the USB-serial adapter, when it is connected. When you have multiple connected, disconnect the one you are looking for, and after a few seconds reconnect. Observe which one disappears and reappears. In this case, the adapter is connected to COM5 as indicated in blue. 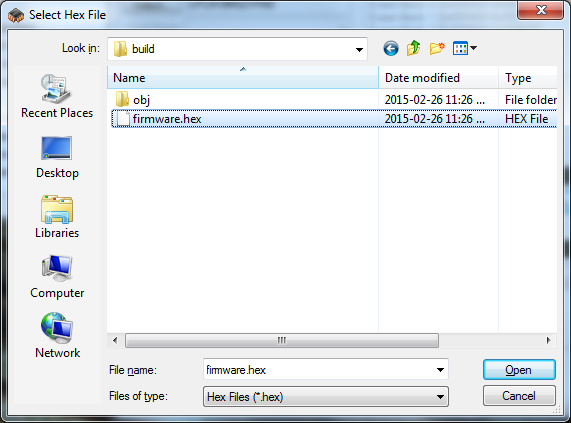 Press Browse to select the firmware.hex file that we want to flash. 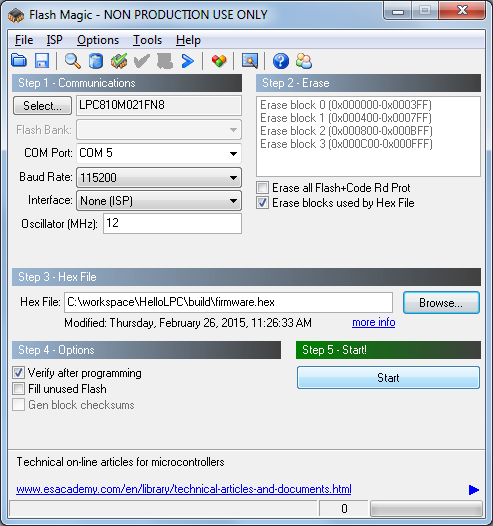 This and the previous article has shown how to build and flash Jeelabs Embello programs on Windows PC with a true IDE. Further articles will be dedicated to debug options and more automation.